State-run Oil and Natural Gas Corporation is expected to report a decline in bottomline and operating income as realisation is likely to fall QoQ on lower oil prices during the quarter ended December 2018. But year-on-year, numbers are expected to be strong. Brokerages expect profit to fall in the range of 2-24 percent sequentially but they see 25-60 percent rise in bottomline. Also, they largely expect the company not to bear any subsidy burden. "We expect realisations to decline 11 percent QoQ at $65 a barrel due to lower crude oil prices. Hence, profit is expected to decrease 24.4 percent QoQ to Rs 6,244 crore on decline in realisations as well as lower other income," said ICICI Securities that does not expect any subsidy during the quarter. 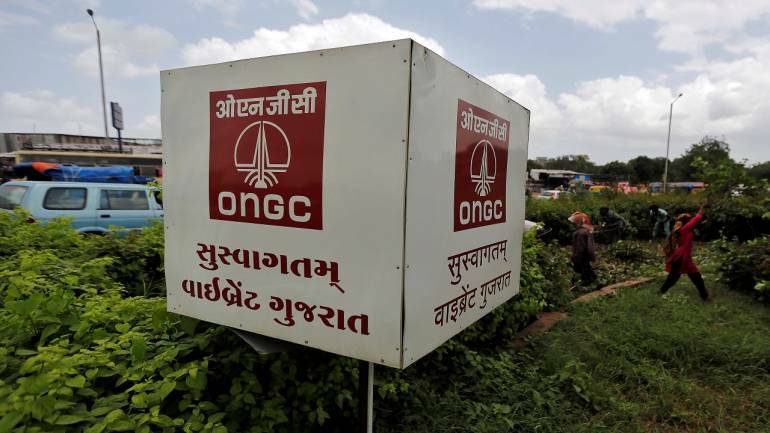 According to Antique Stock Broking, the net crude realisation for ONGC in Q3FY19 is estimated at around $67-68 a barrel (versus $73-76 in Q2FY19 and around $50-61 in Q3FY18). Motilal Oswal expects the profit at 2 percent QoQ and 61 percent YoY. Brokerages largely expect the dip in topline of the company around 3-6 percent sequentially due to decline in oil prices and tepid oil production and sales. But YoY, the same may increase more than 17 percent. "We estimate decline of 10 percent YoY and 1 percent QoQ in oil sales while growth of 3 percent YoY and 2 percent QoQ in gas sales during the quarter," said Motilal Oswal. The brokerage expects 4 percent QoQ decline and 17 percent YoY rise in revenue. ICICI Securities said ONGC's oil and gas production is expected to witness QoQ growth of 0.4 percent and 2.1 percent, respectively. "While oil production is estimated at 6.1 MMT, gas output is expected at 6.5 MMT in Q3FY19." EBITDA (earnings before interest, tax, depreciation and amortisation) may see marginal decline sequentially but may remain strong YoY. Motilal Oswal estimates EBITDA growth of 20 percent YoY and degrowth of 5 percent QoQ while Emkay said ONGC's EBITDA is estimated to decline slightly as higher sales versus production should support earnings.